Hundreds of thousands of our troops will spend the holiday season away from their loved ones this year, that’s why it is especially important that they know they have our support. 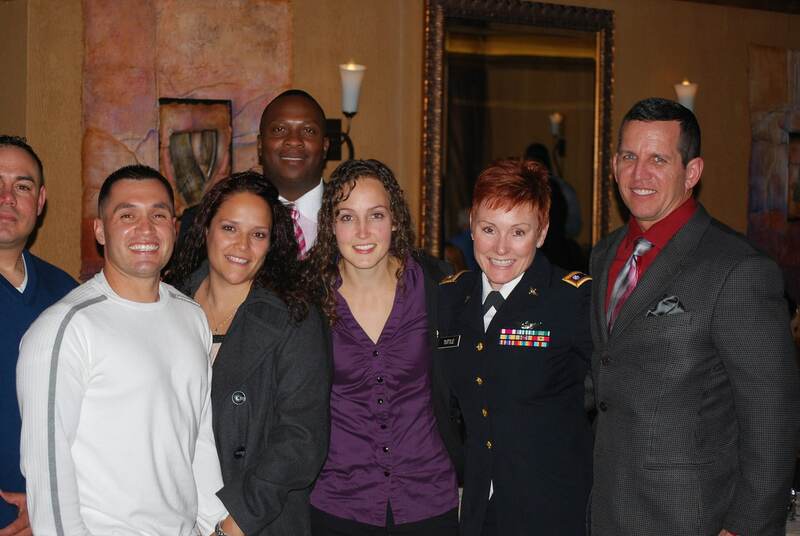 Recently, Freedom Alliance hosted 58 soldiers (and their spouses) from the Ft. Carson Warrior Transition Battalion to a Troop Appreciation Dinner at the Pepper Tree restaurant in Colorado Springs. For several years now Freedom Alliance has been hosting Troop Appreciation Dinners to honor America’s troops for their service and sacrifice. For some service members the dinners are the first “thank you” they have received since joining the military. For injured service members a dinner is often the first public outing they attend and can serve as a form of healing for them. Nathan, a young soldier from Ft. Carson who attended the dinner with his wife, just turned 21. “I’m fresh from Afghanistan,” he told Freedom Alliance Programs Office Alicia Behm. Nathan was med-evaced in October for a severe Traumatic Brain Injury (TBI). Nathan was stationed with a unit who intervened in drug and human trafficking. He said that the best thing they did was save a wedding of hundreds of people by spotting a suicide bomber and taking him out before he acted. Another soldier in attendance was from Uganda and said he was proud to serve as an American Soldier for the past 11 years. Many injured services members from Ft. Carson came without their children and commented how nice it was to have a “date night.” The Pepper Tree room was the perfect setting for a romantic night out with candles on the tables, soft music and a dimly lit room. Freedom Alliance’s Troop Appreciation Events are just one component of support. This holiday season they have already shipped thousands of “Gifts from Home” care packages to troops in Iraq and Afghanistan. Freedom Alliance also sponsors lunches, vacations and family fun days, while volunteers all over the country put together local care package drives, golf tournaments, runs, raffles, and bake sales.